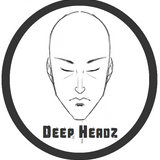 Deep Headz is a group based on Soundcloud for deep musik for minimal mindz. Each month Deep Headz host a mix session called "Sub Culture" hosting some great DJ&apos;s & Producers from all over the world. Each mix consists of Deep Dubstep & Dark Garage with a twist of each DJ/Producers own vibe. Each Mix will also be 30 minutes (Minimum) to 45 Minutes (Maximum) in playing duration & will be free to download once the track listing has been released from DJ/Producer.